After successfully installing the Linksys Wi-Fi Router and the Linksys Connect Software, a unique wireless network name (SSID) and password will be generated automatically. However, you can change them into something that you can easily remember. This article will provide you with instructions on how to update the wireless network name (SSID) and password of your wireless network through the Linksys Connect Software. QUICK TIP: The wireless settings can also be changed manually through your web-based setup page. To learn how, click here. NOTE: If Linksys Connect is not working, you might have an older version of the software or changed the wireless settings of your router using the web-based setup page. To resolve this, you need to reset the device and reinstall the Linksys Connect Software. To reset your router, press and hold the Reset button for 10 seconds. For instructions on how to set up your Linksys Wi-Fi Router using Linksys Connect, click here. Follow the steps below on how to change the wireless network name and password using Linksys Connect. IMPORTANT: The Linksys Connect Software ONLY supports these devices: Linksys Wi-Fi Routers, E1000, E1200, E1500, E1550, E1700, E2000, E2100L, E2500, E3000, E3200, E4200 v1, E800, E8350, E900, and older firmware versions of EA2700, EA3500, and EA4500. 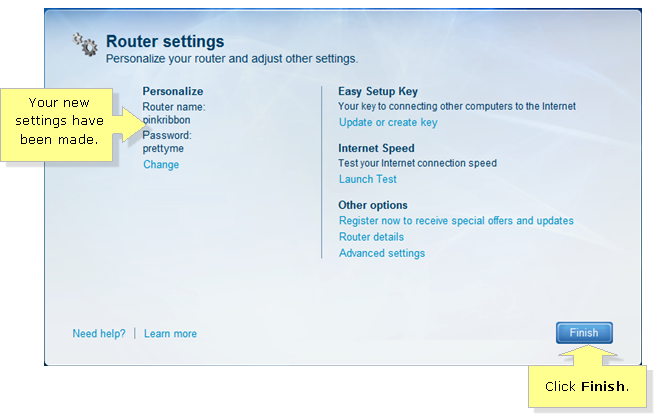 On the main Linksys Connect window, select Router settings then click Change. 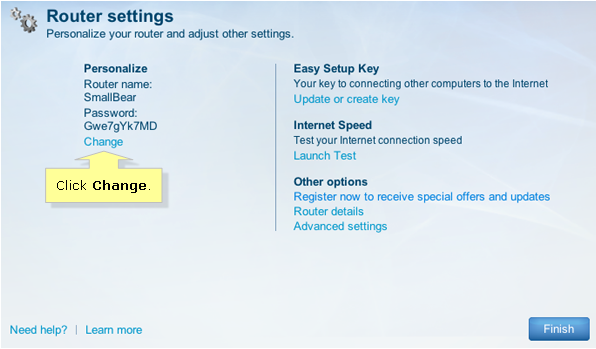 Under the Personalize section, click Change to modify your router’s name and password. A window will appear to confirm that you are changing your Linksys router name or password. Click Yes to continue. 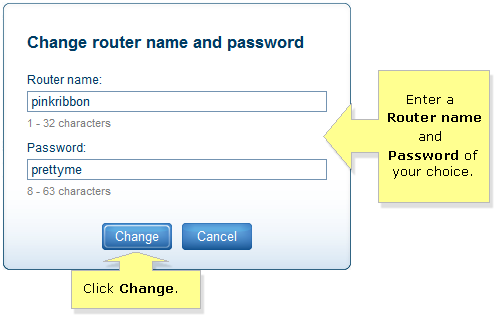 On the Change router name and password screen, enter a name that you prefer to call your wireless network under the Router name field, then enter a password that is 8-63 characters long. When you're done, click Change. 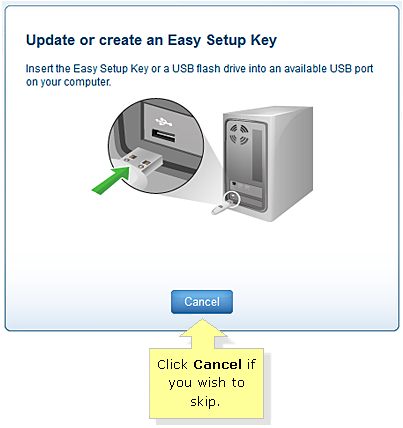 NOTE: It is recommended to create or update the Easy Setup Key right after completing the installation. This will allow you to save your security settings such as your wireless network name (SSID) and password so you can easily connect other devices to your network. To know how to create or update your Easy Setup Key, click here. Linksys Connect will automatically update the settings when you check the Router settings details. Take note of your password, you will need this to connect additional devices in your network. Click Finish to return to the main screen. NOTE: The newly generated wireless security settings are also the user name and password that you will use to access the web-based setup page of your Linksys Wi-Fi Router. Alternatively, you can also change your wireless network’s password through the web-based setup page. To learn how, click here.